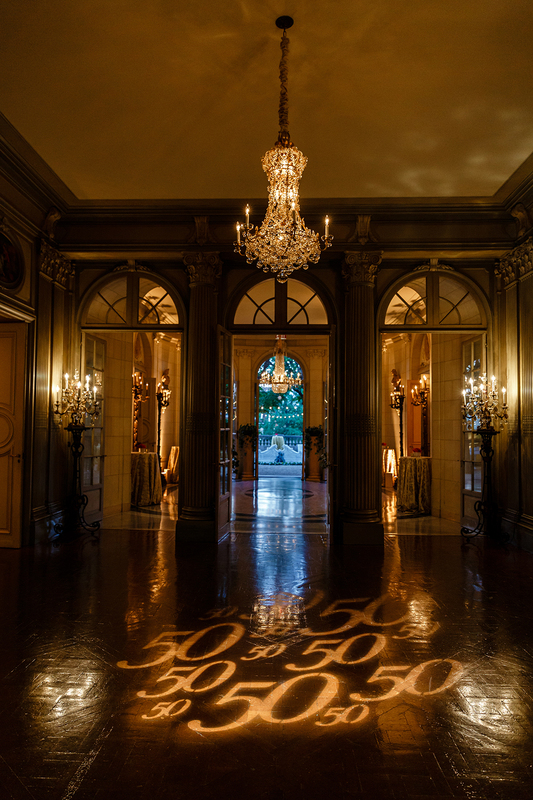 Guests of the 50th Anniversary Meridian Ball gather outside the White-Meyer House. 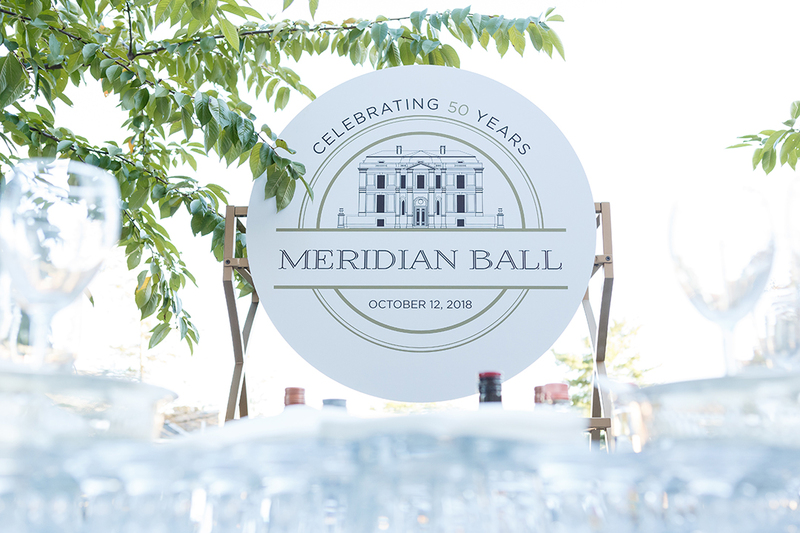 Over 800 diplomats, industry leaders, and government officials gathered on October 12, 2018, to celebrate the 50th Annual Meridian Ball. 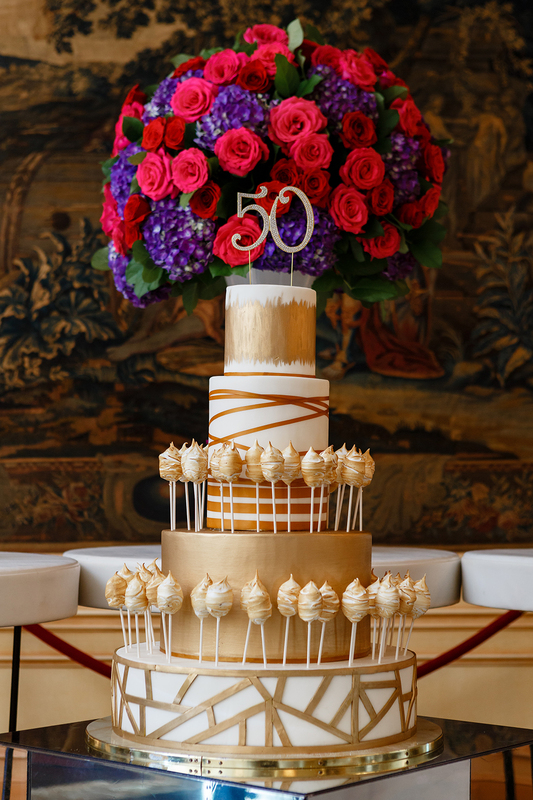 The evening began with dinners hosted by thirty-five embassies across Washington for over 500 people. 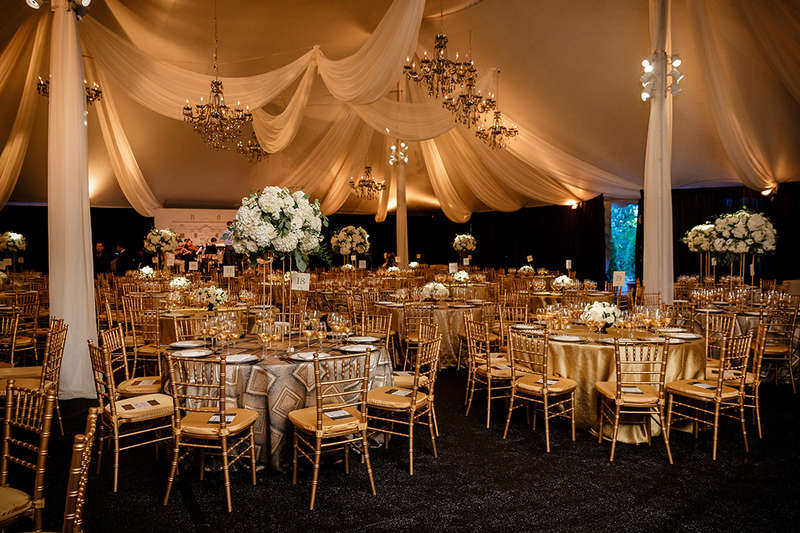 At the same time, over 300 guests joined the White-Meyer Dinner and enjoyed their meal in our first ever Dinner Pavilion with American Pops Orchestra playing in the background. 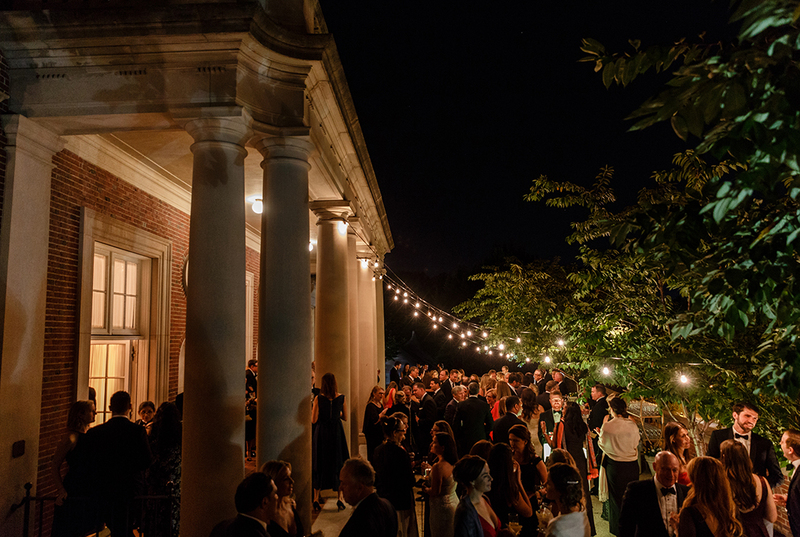 After the dinners, guests spread between Meridian’s two historic homes, the White-Meyer House and Meridian House, to enjoy dancing, dessert and drinks. With more guests arriving for the Ball, many enjoyed taking photos at the step and repeat on their way into the celebration where they were greeted by lively music, delicious food, and good company. 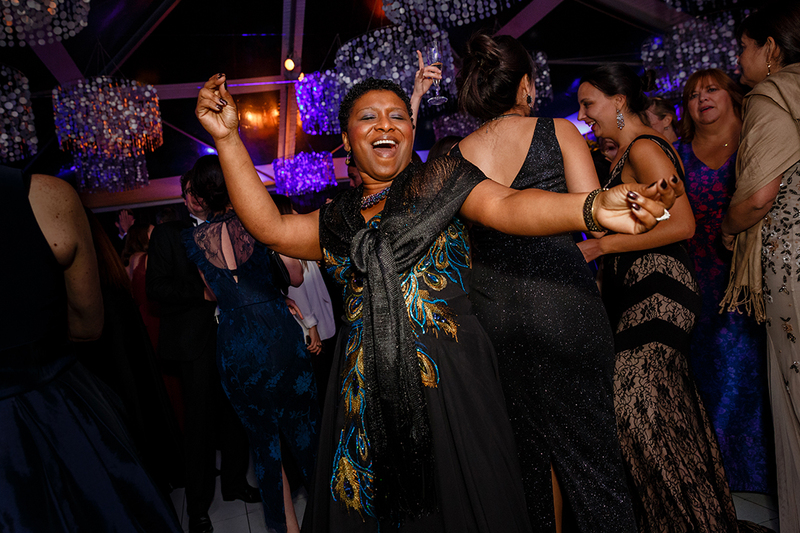 Highlights from this year’s Meridian Ball included a champagne bar, desserts prepared by Design Cuisine, and two dance floors with performances by DJ Neekola and live band Nation. 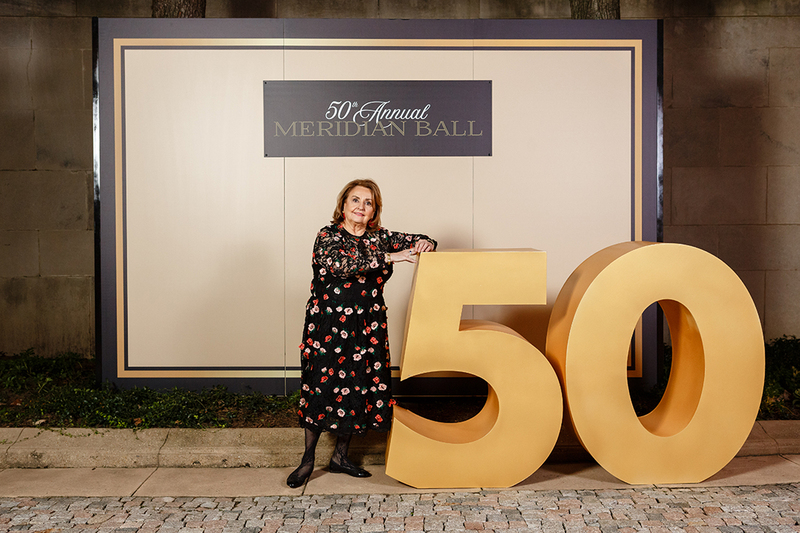 While the Meridian Ball was a glamourous culmination of Meridian International Day, it began with the 7th Annual Meridian Global Leadership Summit and the official launch of the Meridian Center for Diplomatic Engagement. This new Center accelerates collaboration between the international diplomatic corps and the U.S. public and private sectors to address global challenges and opportunities facing the United States and the world today. 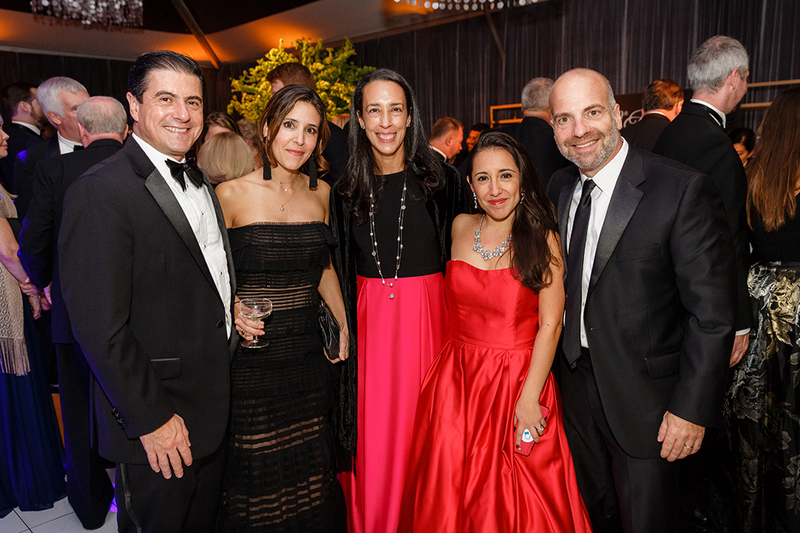 Guests of both the Summit and Ball represent a diversity of sectors, cut across party lines and borders, and all come together to support Meridian’s mission of strengthening U.S. engagement with the world and advancing non-partisan, global leadership. 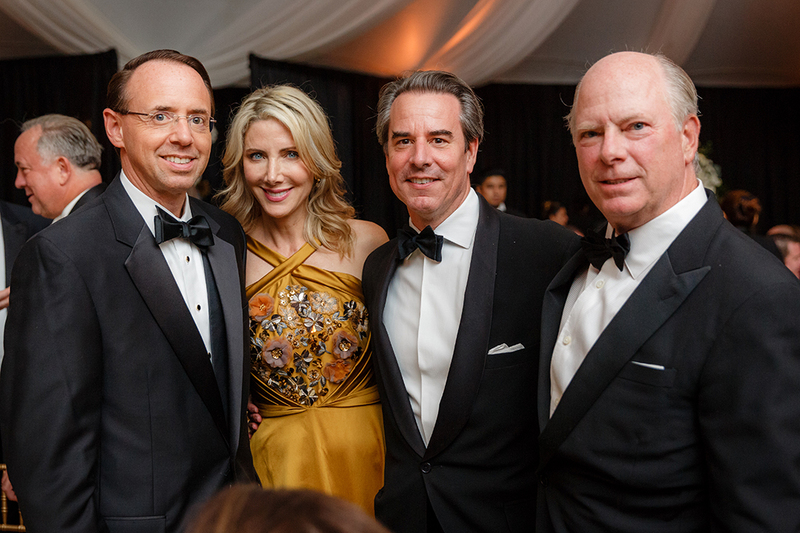 Notable guests in attendance of this year’s Meridian Ball include: Kellyanne Conway, Rod Rosenstein, Sarah Sanders, Lindsay Walters, Hogan Gidley, Howard Fineman and Amy Nathan, Michelle Kosinski, Ali Velshi, Reps. Francis Rooney (R-Fla.), Don Beyer (D-Va.), Mark Meadows (R-N.C.), John Delaney (D-Md. ), Rickie Niceta, David Hale, Samantha Smith and Bubba Atkinson, and the ambassadors from Japan, Germany, Ireland, Mexico, Jordan, Portugal, Colombia, Morocco, Philippines, Belgium, Denmark, Poland, Azerbaijan, Qatar and Argentina. 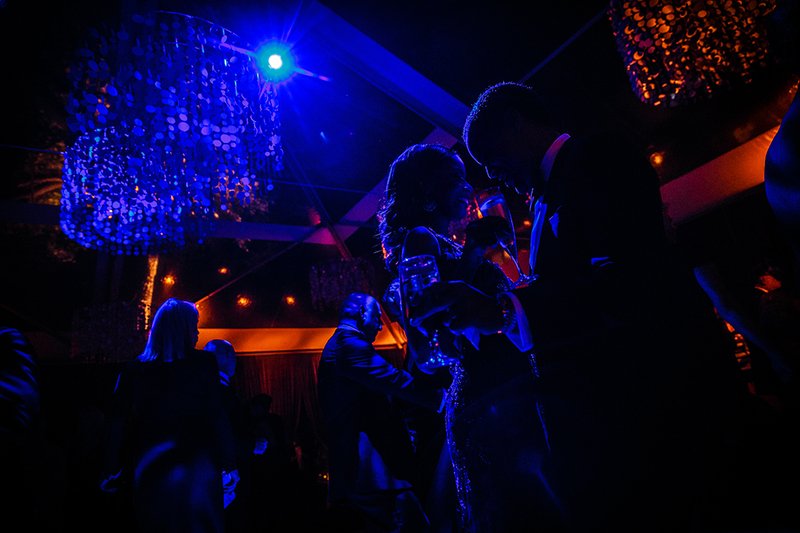 Washington Post summed up the evening and the Meridian Ball: “Meridian is the last ball of its kind. It is a survivor of a bygone era, a vision of Washington less as it is today and more as it would like to imagine itself: elegant, serious, sophisticated and united for important issues and causes. That image transcends party lines, even in these fraught times, and explains a great deal of the ball’s enduring appeal." Jane Sloat Ritchie, founder and inaugural Chair of the Meridian Ball. Photo by Stephen Bobb Photography. U.S. Deputy Attorney General Rod Rosenstein, Meridian CEO Amb. Stuart Holliday, and Loran and Robbie Aiken of the 50th Annual Meridian Ball Leadership Committee. Photo by Stephen Bobb Photography. Mexican Amb. Gerónimo Gutiérrez and his wife Irasema Infante with Foreign Policy’s Diana Marrero, Facebook’s Zuraya Tapia Hadley and Foreign Policy Publisher Andrew Sollinger. Photo by Stephen Bobb Photography. Didi Cutler and Amb. 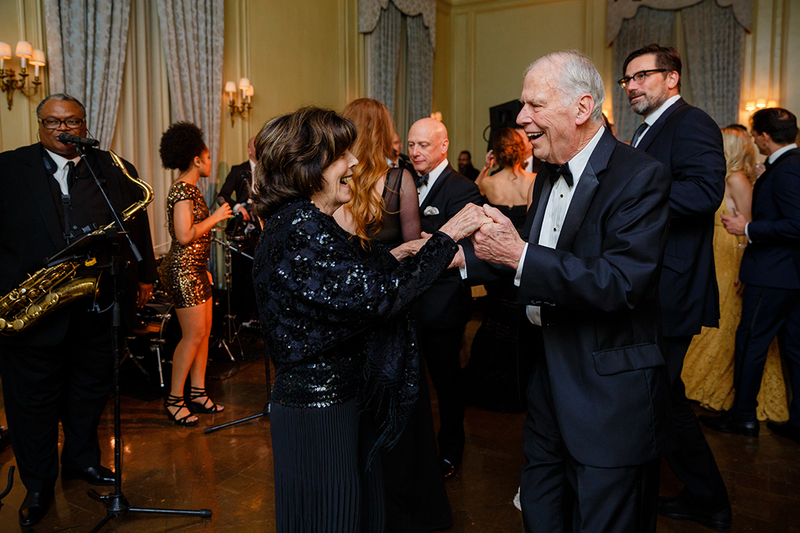 Walt Cutler, President Emeritus of Meridian Center International, dance to the live jazz band Native in Meridian House. Photo by Stephen Bobb Photography. 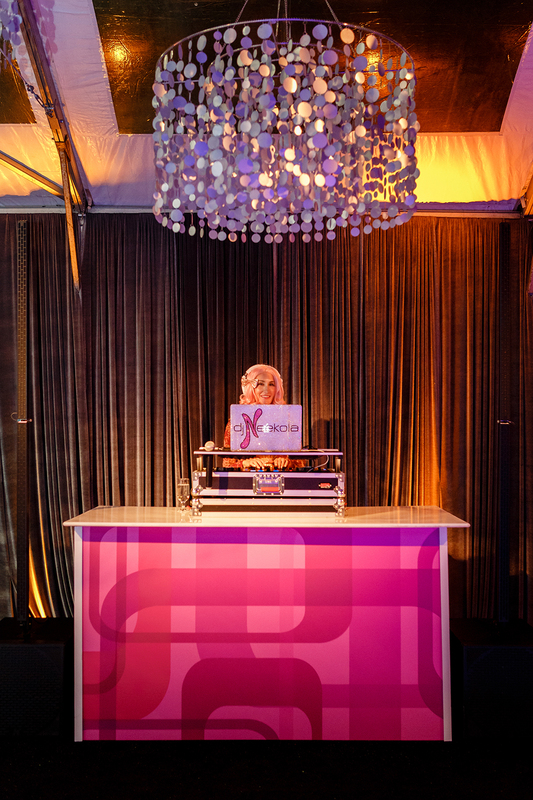 DJ Neekola spins records inside the Meridian Ball dance tent. Photo by Stephen Bobb Photography. Photo by Stephen Bobb Photography.